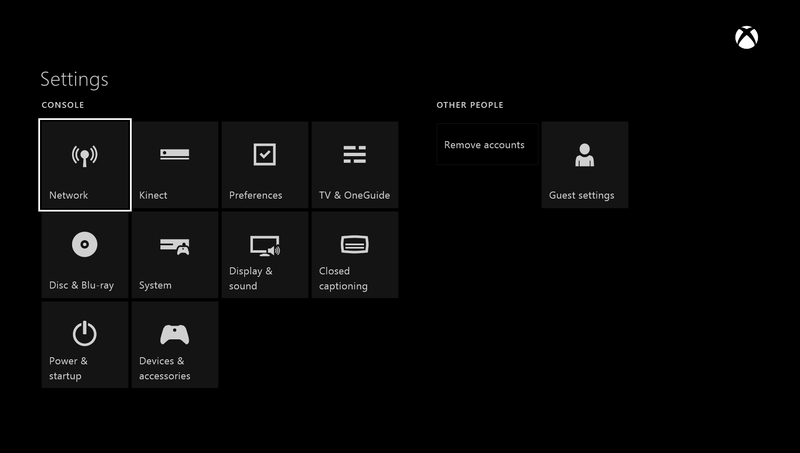 How to configure SimpleTelly on your Xbox One. 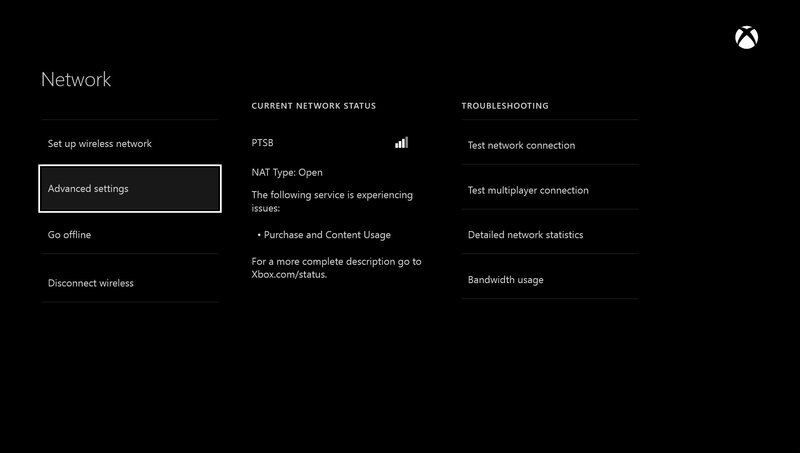 This page will guide you through the setup process on a Xbox One.Note , ideally you will need to use a computer to register your IP on our network. 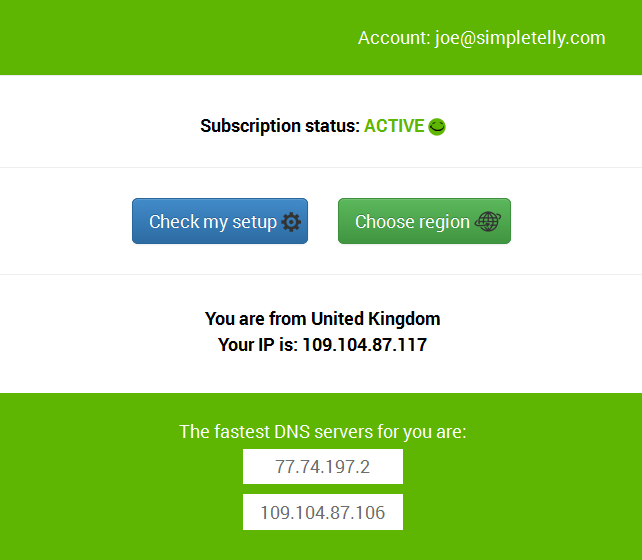 Login to our website, www.simpletelly.com from a computer on the same network as your Xbox One. 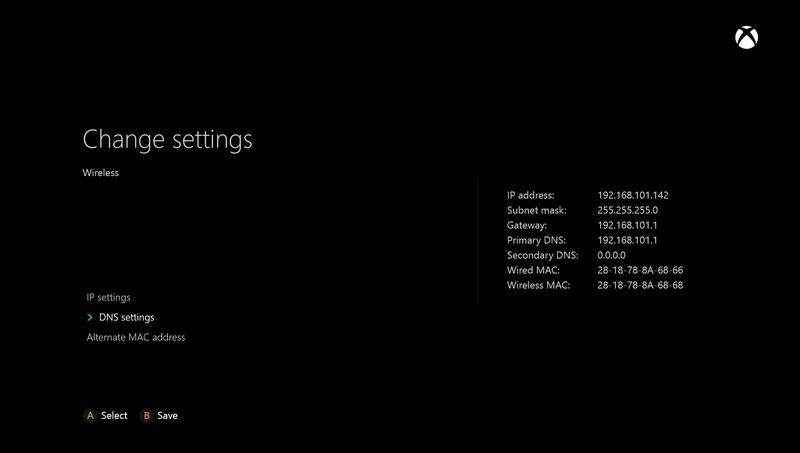 Note: If you haven't setup your wireless network, please click on "Set up wireless network" and ensure you have an active Internet connection before proceeding with the next step. 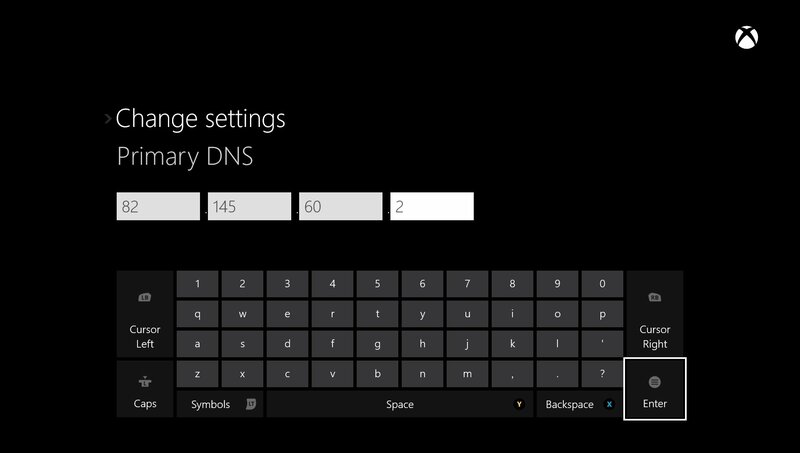 Now, enter the DNS server addresses that appeared on your browser earlier and click Done. 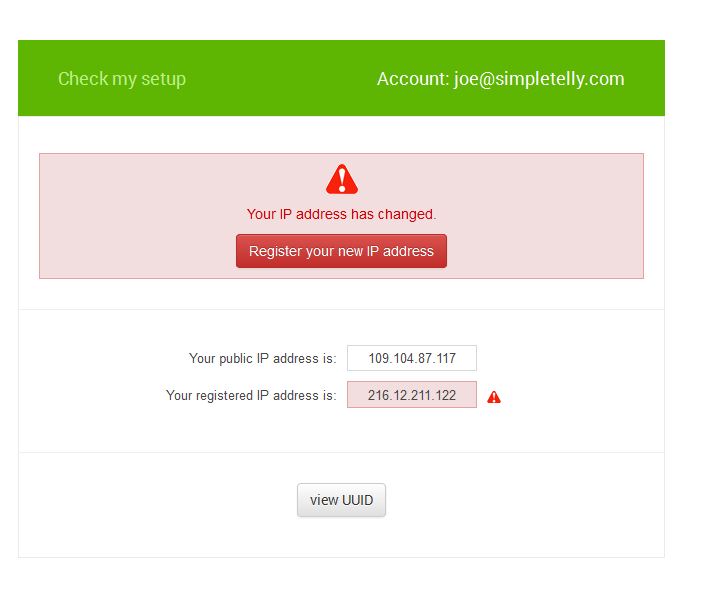 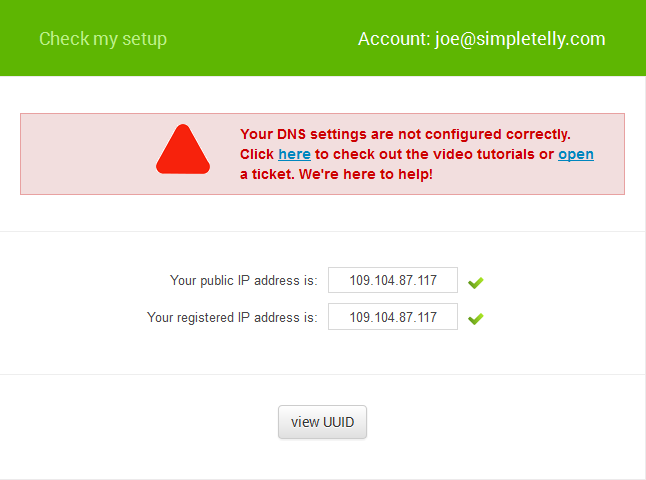 Once you've entered the Secondary DNS, you should see the following network summary screen. 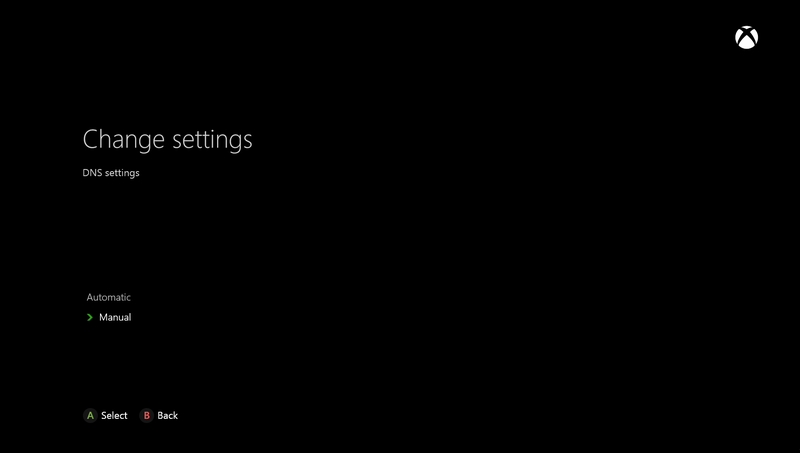 Next, press the B button on your controller to save the settings and it will automatically check the connection. 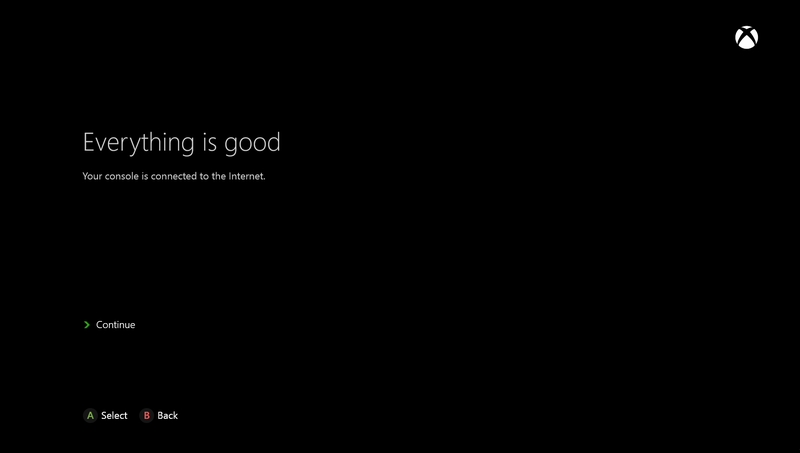 If the connection is successful, you will see the following screen that indicate you're connected to the Internet.